Except it wasn't that good a morning 68 years ago in a peaceful Palestinian hamlet by the name of Deir Yassin. That morning the murdering, genocidal and brutal Jewish Zionist terror gangs, Irgun and Stern, lead by two future Prime Ministers of Israel, Menachem Begin and Yitzhak Shamir, raided the sleepy village and slaughtered and destroyed everyone and everything they could find. 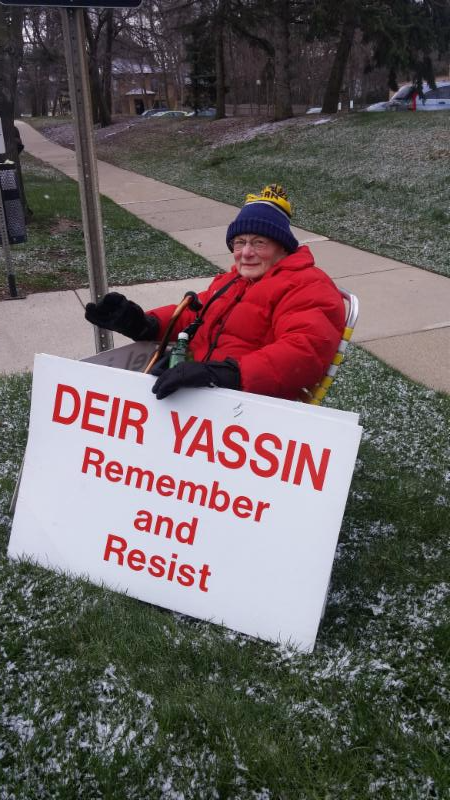 The massacre of Deir Yassin on 9th April 1948 was neither the first nor the last of such massacres. But Deir Yassin was a turning point that lead the defenceless and peaceful Palestinian civilians to flee. Chaim Weizman, future first President of Israel referred to the massacre as "this miraculous simplification of our task". David Ben Gurion, the future first Prime Minister of Israel, said, "Without Deir Yassin there would be no Israel". And so the Jewish Zionist juggernaut of murder and destruction is still rolling on. Their lust for our blood, our land and our natural resources is insatiable. And the world looks on. Of course I am terribly sad and disheartened, but this article is not about sadness or loss of hope. This is a tribute to all who perished in Palestine and to those who are staying fast and defending what remains of that blessed place we can still call our own. They are steadfast despite the extreme imbalance of power between our defenceless and unprotected population and the fourth most powerful army in the world. A nuclear power no less. The cruelty of the Jewish Zionists and the cynicism of that blood-soaked movement defies credulity. After wiping Deir Yassin off the face of the earth they cynically installed the Holocaust Memorial, "Yad Vashem' in its stead. When will the world acknowledge the Palestinian Holocaust and erect a memorial for our dead? Maybe in Whitehall here in London, where the tragedy that is Palestine all started. Or on Capital Hill in Washington, where it is nourished and supported day after day after day. My friends, please say no to this continued barbarity and please say to your various governments to stop condoning the spilling of our blood and the theft of our land. And please make sure that 'never again' is not Jewish specific, but is universal.